Zielona Dolina II - Flats and houses - J.W. Construction Holding S.A.
We offer a two-story residential complex of multi-family homes. Low-rise architecture underlines the intimacy and prestige of the community. 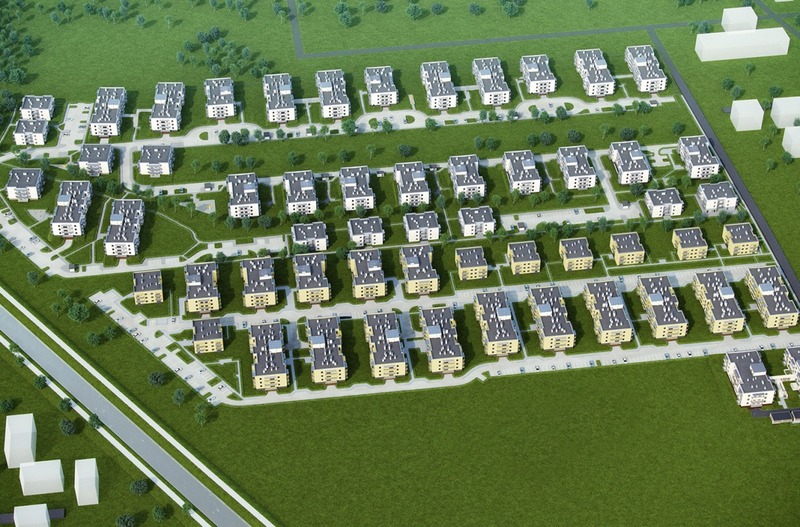 the Zielona Dolina II community has been realized at Rossiniego street (in the immediate vicinity of the Zdziarska and Ostródzka street) in Warsaw's Białołęka. Białołęka is becoming an integral part of Warsaw through the extension of roads and public transport system. This low-rise suburban architecture creates a charming residential complex with new high-end apartments. This residential project has a wide selection of apartments with various room sizes and floorplans. The entire complex is fenced and guarded, which will increase the perception of safety of privacy on the part of dwellers. Close proximity to green terrains makes it possible for families to spend their leisure time actively. Apartment prices are very attractive. There are low apartment and common part maintenance costs compared with HOA contributions in other communities located close to the city center. Investment advisor Zielona Dolina II they are at your disposal! Kupując mieszkanie w JWC nie płacisz za balkon i ogródek.